The Obama Administration is considering sanctions against Chinese civil sector firms and people who benefit commercially from industrial espionage in cyber space. The new sanctions proposed could prove to be useful and may be fully justified but there will be some problems with this new line of policy. First, there are already civil and criminal laws already in place to sanction this illicit activity. We need to hear from the Administration why these are failing and why the proposed new measures would work more effectively. The second challenge is that of getting and presenting proof. There will be very few cases where this trade secret theft can be proven in the public domain. In court litigation for breach of copyright, the plaintiff’s case is often settled out of court where the breach cannot be proven conclusively but where a balance of probability suggests that this may be the case. It is one thing to be able to prove where a company has clearly copied or stolen a design of a Gucci handbag and applied the Gucci trademark. But it is quite a different thing to prove conclusively that a company has stolen trade secrets in advanced design simply by cyber-espionage when, in fact, there is a whole range of public domain information about patents, the detail of commercial activity, and business designs already in the public domain (therefore not secret). Chinese intelligence agencies, like their U.S. counterparts, are indeed scooping up commercial information by the terabyte. In China’s case, there is considerable room to question the rate at which that data can be converted into competitive advantage by Chinese commercial firms. See for example, analysis in this subject in a recent book, China and Cybersecurity (2015) edited by three U.S.-based scholars, and a slightly earlier book by me, Cyber Policy in China (2014). In the U.S. case, the government denies it ever passes business intelligence to its civil sector firms. Few people believe this, though we can probably assume that the United States breaks this rule only rarely. This means that Administration determination to punish cyber-enabled trade secret theft by Chinese entities will do serious damage to U.S. diplomatic interests with China if it cannot, for each and every case, present in the public domain adequate proof of wrong-doing. Anything else would be a diplomatic disaster for the United States. U.S. sanctions for successful espionage by China without strong evidence of civil sector competitive advantage would be regarded around the world as a joke and as bad policy. In those circumstances, we would have to ask about the domestic political motivations in the United States of such a sanctions policy. For these reasons, the Obama administration will need to find the right balance between targeting specific Chinese corporations and more inflammatory, unsubstantiated rhetoric about Chinese government complicity in commercial espionage. Why the PLA Revealed Its Secret Plans for Cyber WarHillary Clinton Is Angry With China Over Cyber Attacks Does China Really Know How to Wage Cyber War? 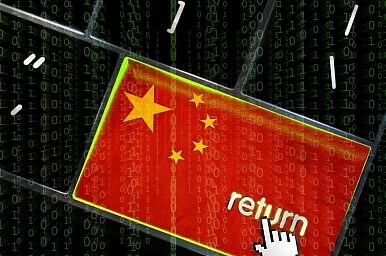 2015 a Pivotal Year for China’s Cyber ArmiesHas U.S. Cyber Pressure Worked on China?